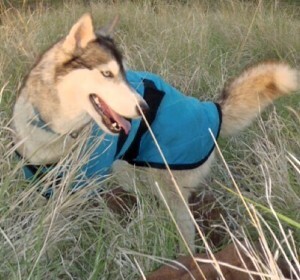 The Silver Eagle Evaporative CoolChampions Cooling Vest is the ideal solution to the effects of intense heat on dogs. K9 Cool Champions cooling pet coats, help prevent overheating by creating artificial perspiration that actively pulls excess heat from the dog, lowering the dog's temperature and reducing the heavy panting that would otherwise unduly distress your dog. The Silver Eagle Evaporative CoolChampions Cooling Vest is the ideal solution to the effects of intense heat on dogs, without excessive weight gain or bulkiness, pulling heat away and enhancing your dog's natural cooling process. Use the centre back measurement to determine what size your dog would likely need. Cool Champion Cool Coats are designed with enough adjustment within the neck and girth to fit most dogs within each size. I want to thank you for your superb service, which was super fast over to the UK (even though we've just had a bank holiday). My French Bulldog who I struggle to buy jackets for, let alone Coolcoats, as she is a very small Frenchie in size, but still with the build of a bulldog, but yours fits perfectly for her. Excellent quality, stylish, love the Latte colour & will be a lifesaver in the heat and humidity. Thank you. I will recommend you to our French Bulldog Meetup Group (100+) in Essex.